As the following letter to board members (names left off for privacy reasons) of the Conference of Presidents of Major Italian American Organizations will show, the only fast way, at this late date, to have a U.S. senate resolution introduced to recognize Italy on the 150th anniversary of its birth as a modern nation is for individuals from New York to contact their three top New York State officials: Governor, Andrew M. Cuomo and the two New York Senators, Charles E. Schumer and Kristen E. Gillibrand. (The Conference is the lead Italian American organization and has potentially tremendous influence). The anniversary year of this great historic event, Italy becoming a nation, ends in two weeks — March 16. If you are from New York, then please help! Of course, individuals from other states are invited to contact ther own Senators. At the end of the letter is a draft on such a resolution written by Nancy Indelicato, Board Member of the Italian Heritage and Culture Committee of New York, Inc.
an Italy Resolution be introduced this week in the Senate. 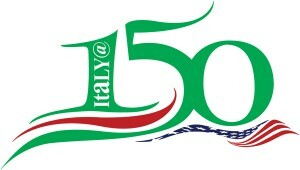 I am writing this letter to the members of the board of directors of the Conference of Presidents of Major Italian American Organizations, in order to apprise you of the current situation with regard to introduction of resolution in Congress honoring Italy on the occasion of its 150th anniversary of its Unification and to ask your help in getting it introduced. Time is getting extremely short. It is now, only18 days to the end of the anniversary year. And there are only eight legislative days in Congress to have a resolution passed recognizing our great friend and ally — Italy. Indeed, we have actually only until March 8, ten days from now, to get this done as the House goes into recess on March 8 for one week and won’t be back until the anniversary year is over. Attempts to have this resolution introduced the House have been fruitless despite major efforts by the chair of the Conference, Joe Sciame, to reach out to Speaker Boehner. The House GOP leadership continues to be inconsistent with their policy of banning ceremonial resolutions and rejecting submissions. On Feb. 9, a House concurrent resolution recognizing the centennial of Arizona statehood was introduced. But because of House leadership incoherence in this matter, we have been advised not to take the chance of an Italy resolution being introduced, but not being acted upon, and instead to take the quick Senate route to introduction and passage. Given the short amount of time left, Joe Sciame and I believe there is only one possible way to get this done quickly and that is to have the Governor of New York State, Andrew M. Cuomo ask the two New York Senators, Charles E. Schumer and Kristen E. Gillibrand to introduce an Italy resolution. 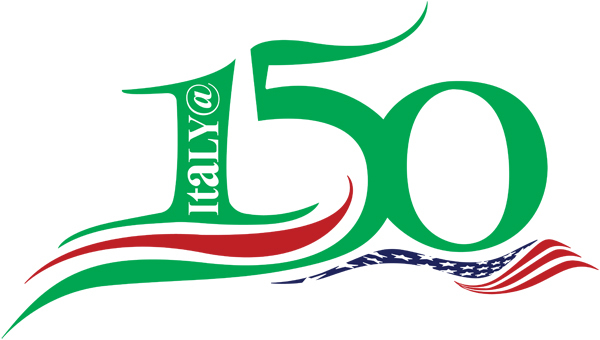 Our theory is that in view of the fact that both the Governor, by proclamation and the New York state legislature, by resolution have officially recognized the 150th anniversary of Italian Unification, the two NY senators can and should be asked to follow-through with introduction of concurrent resolution in the U.S. Senate. (Senators are under obligation to promote the interests of their states in Congress). We believe and they would definitely do so if Governor Cuomo asked them to. With this in mind, Joe Sciame, last week wrote Governor Cuomo and asked him to contact the two senators. He is following up his letter with phone calls. (By the way, a thoroughly vetted Italy resolution drafted by Nancy Indelicato, Board Member of the Italian Heritage and Culture Committee of New York, Inc. is ready to be introduced). You might ask: “How quickly can the senate act?” I need give only one example: Last March 17, Senators Schumer and Gillibrand and a third senator introduced a resolution recognizing the 100th anniversary of the Triangle Shirtwaist Factory Fire. It passed March 17 – the same day it was introduced. Also, on June 21, last year, Sen. Tom Harkin, along with five co-sponsors introduced a resolution recognizing the 20th anniversary of the independence of Slovenia. It too passed the same day. If passed by the senate, and, of course, it will be, theItaly concurrent resolution will be sent to the House for its approval. I seriously doubt that the House would fail to pass it and embarrass theUnited States, diplomatically. You might also ask, with good reason: “Why are we waiting to the last minute to do this?” The answer is that the co-chairs of the Italian American Congressional Delegation with the support of a national Italian American organization had bills introduced in the House and Senate on Feb. 16, 2011 to award the Congressional Gold Medal to Garibaldi and, at the same time, recognize Italy for the 150th anniversary of its unification. This tactic was specifically designed to circumvent the ban on commemorative resolutions in the House. After one year, the bill in the House has two co-sponsors and the Senate version has one co-sponsor. (A Gold Medal bill needs 290 co-sponsors in the House and 67 in the Senate in order to be voted on). Obviously, for whatever reason, this strategy of recognizing Italy and honoring Garibaldi in one bill has failed miserably. We need to do something different, even at this late date, lest we appear as a community to be ineffectual and/or uncaring. Recognition of Italy by Congress deserves our best efforts. Again, I am writing this letter not only to inform you of what is happening, but to ask you to put in a good word for this splendid cause of recognizing Italy in Congress to Governor Cuomo and Senators Schumer and Gillibrand, if you know them. (And if you don’t know them, ask others that know the three to help). But please, before contacting any one of the three governmental officials, first contact Joe Sciame at sciamej@stjohns.edu and let him know whom you will be in touch with. Coordination is crucial. Thank you! Further, if this strategy of going to the senate for a resolution after first through the governor and state legislature of New York is successful, it can then be duplicated, in the future, for resolutions honoring other great Italian events and luminaries, such as Amerigo Vespucci, whose death 500 years ago this year is to be commemorated. The Italian Heritage and Culture Committee of New York, Inc. presently also headed by Joe Sciame, has a wonderful tradition of having resolutions and proclamations introduced at all levels of New York State government recognizing the events and luminaries it chooses to highlight each year. Taken just one more logical step, we have a new way of having the Congress of the United States recognize the contributions of Italy to world civilization. Finally, I wish to conclude by saying that the Conference of Presidents should be the lead organization in the Italian American community in setting the agenda for the community, both in general, and in Congress, specifically. You are part of an extraordinary organization: idealistic, practical, effective, visionary, open, democratic and transparent. You can and should lead the Italian American community, particularly under your present great leader – Joe Sciame. Here is one more issue where you can act on right now and be successful. The Conference can and should take the credit for having the Congress pass this important resolution. But, to make this happen you must act today! You must expend your political capital and ask for what you want in the name of a good cause – honoring Italy in Congress. I have worked with the Conference on a number of issues, over the years, including awarding the Congressional Gold Medal to Brumidi and a resolution in Congress honoring Andrea Palladio, all under the able leadership of John Calvelli, John Alati, Paul Polo, and now Joe Sciame. You have always been so gracious to me, allowing me to speak at meetings, encouraging me and generously offering your support, even though I am not a member of the organization. You have never let me down – not even once. Indeed, I have had the drive to pursue these several issues only because of the support of the Conference. If this wonderful organization had not existed, I would have given up my efforts years ago. And while I have decided, in the future, not to take up, on my own, any more issues bearing on the interests of the Italian American community, but only to, perhaps, work through a well-established national group, such as the Conference, I beg your indulgence this one last time. Please, use your connections and get this resolution introduced in the Senate this week. user can understand it. Therefore that’s why this post is outstdanding. Des conseillers sont à votre écoute et vous accompagnent dans la réalisation de vos projets personnels.